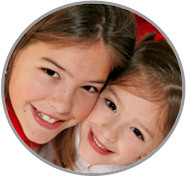 This Nanny Agency in York County will provide your family with only the most exceptional nanny for your family! Call today! ABC’s Nanny Agency in York County applauds Nadirah’s keen ability to listen and understand what children and families need! Please call 717-221-1020 today to speak with a placement counselor and start your search at the perfect Nanny Agency in York County!